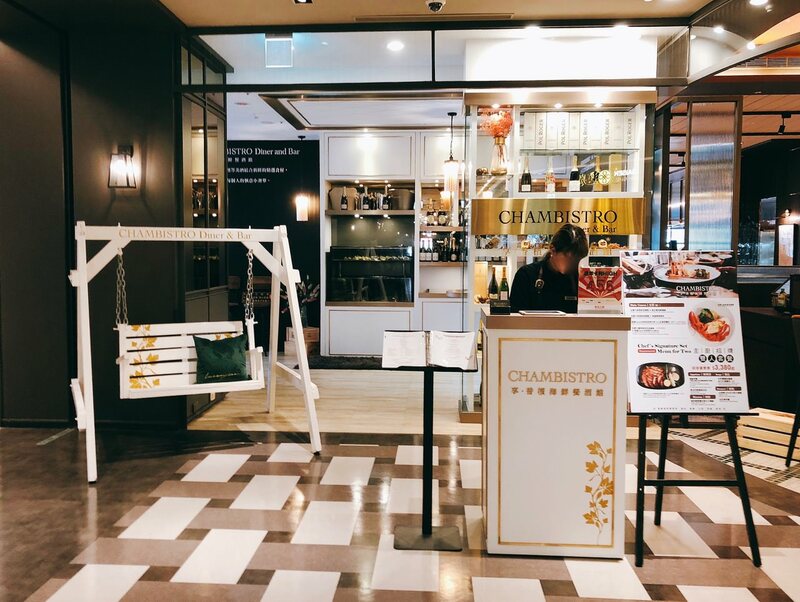 Chambistro Restaurant is one of the Bistros at Taipei Xinyi District. 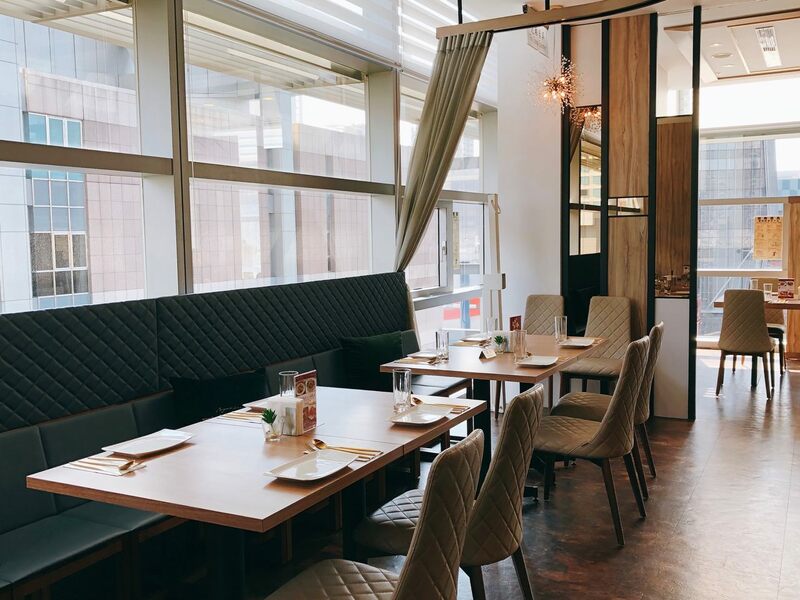 It is located at Xinyi Chinking Mitsukosh A9 Mall. 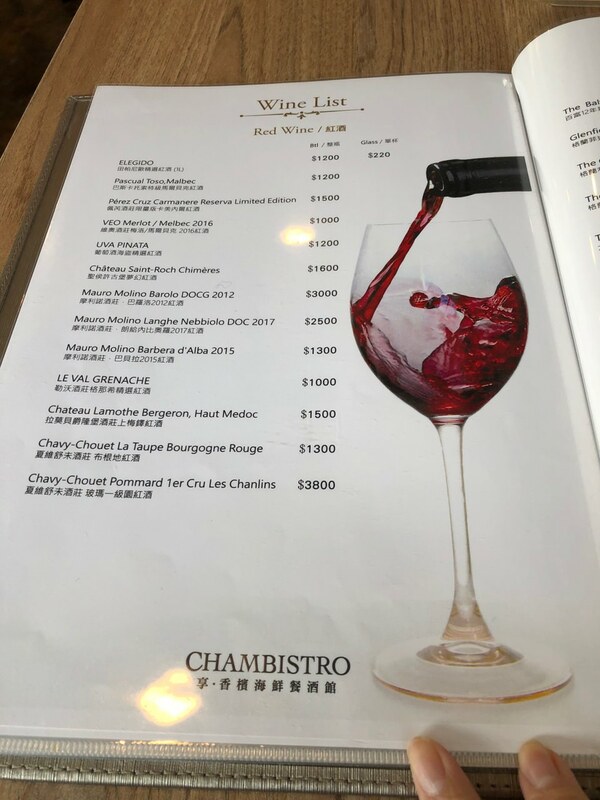 Chambistro 香檳餐酒館位於信義新光三越A9 6 樓, 同一棟樓有 “小後苑 (A9 3F) ”, “Wildwood (A9 4F)”, 和 “橘色火鍋 (A9 7F). 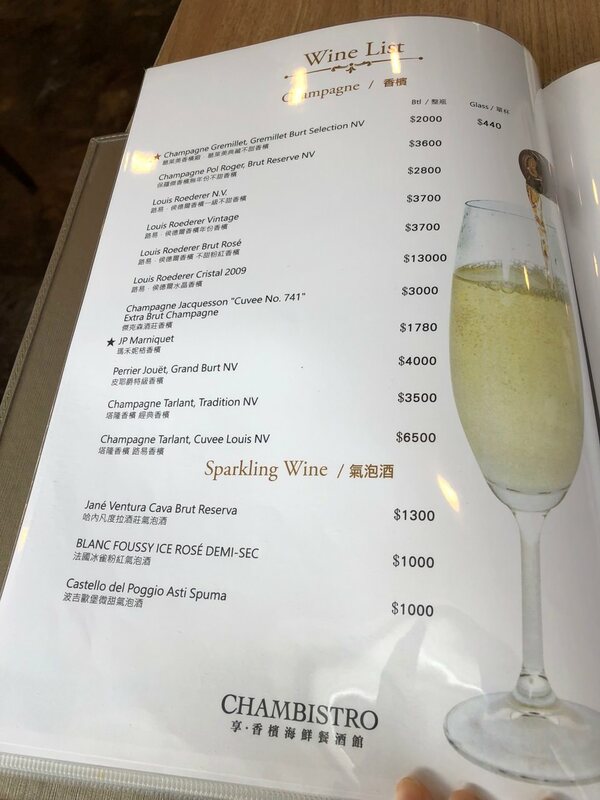 Chambistro 香檳餐酒館和 “C Bistro” 是同一位老闆, Chambistro 香檳餐酒館門口時也有招牌的戶外吊椅, 一走近餐廳內即可看到跟 “明水然鐵板燒”一樣的藍色水族箱, 裡面有生蠔和龍蝦新鮮海鮮. 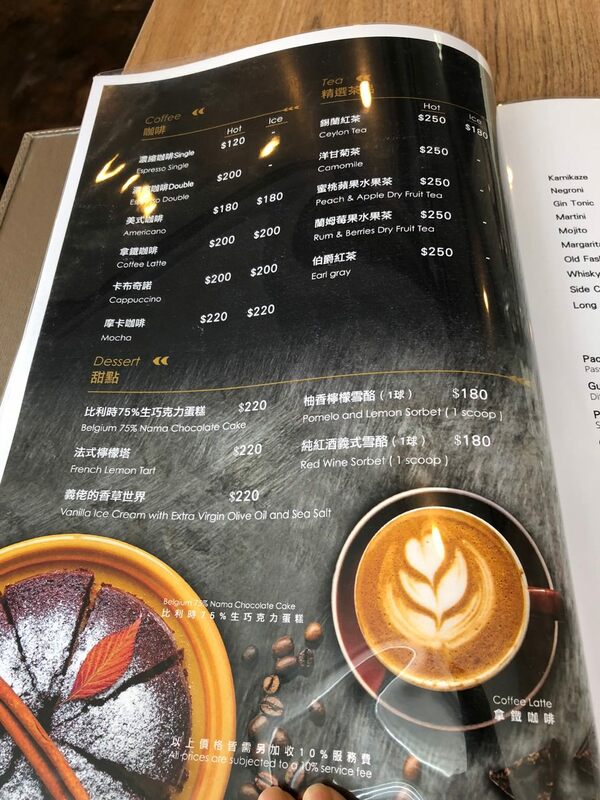 酒吧擺設的酒款與酒杯皆相當齊全. 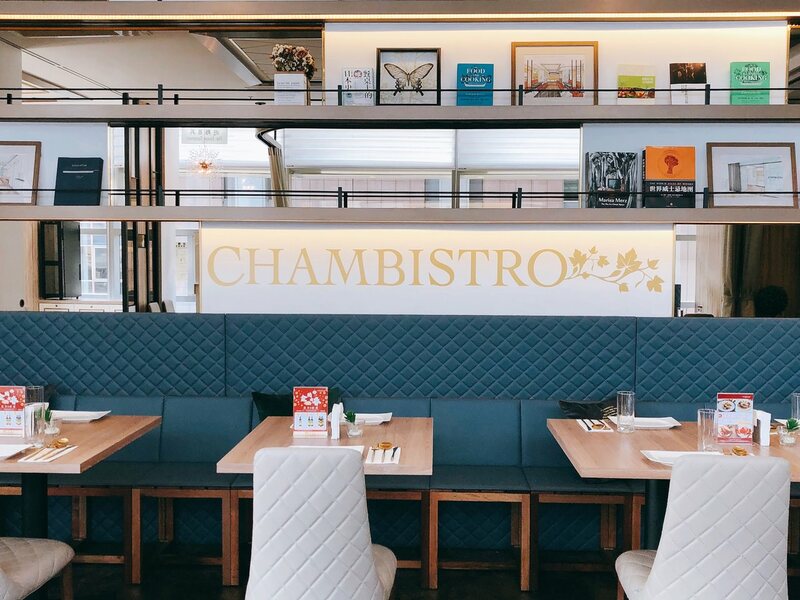 Chambistro restaurant is located at A9 Mall 6th floor. There are “Backyard Jr. (A9 3F)”, “Wildwood (A9 4F)”, and “Orange Shabu (A9 7F)”. 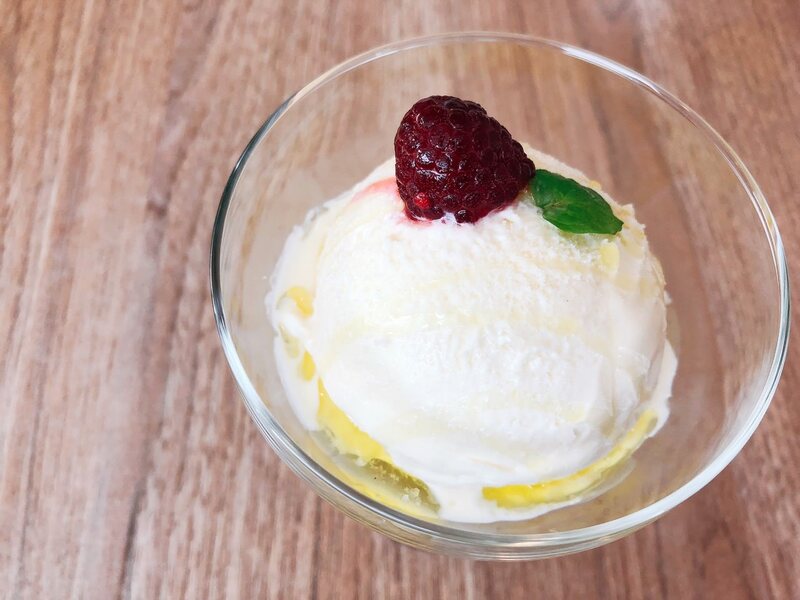 Chambistro and “C Bistro” are beloved to the same owner. The same style of outdoor hanging chair is placed outside the restaurant. When walking in the restaurant, you can immediately see the blue aquarium, just like at “Minsui Zen Teppanyaki”. 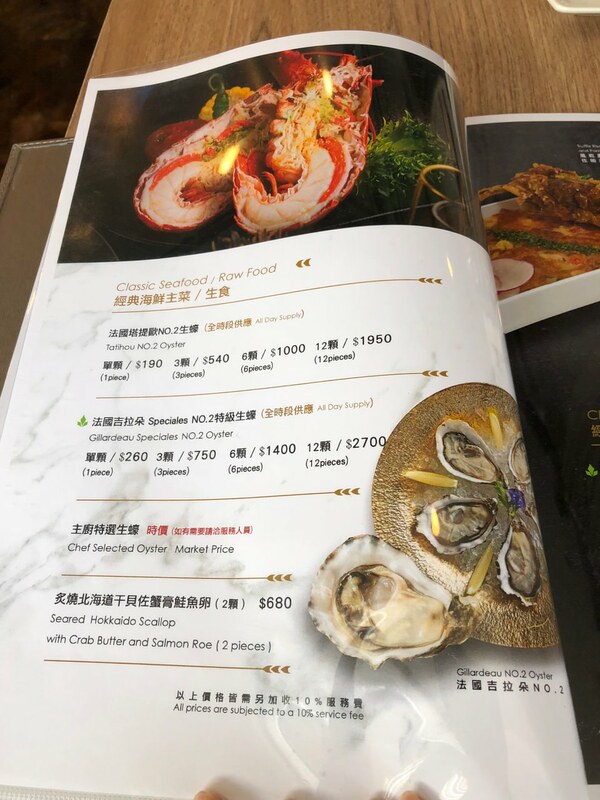 There are oysters and lobster fresh seafood. 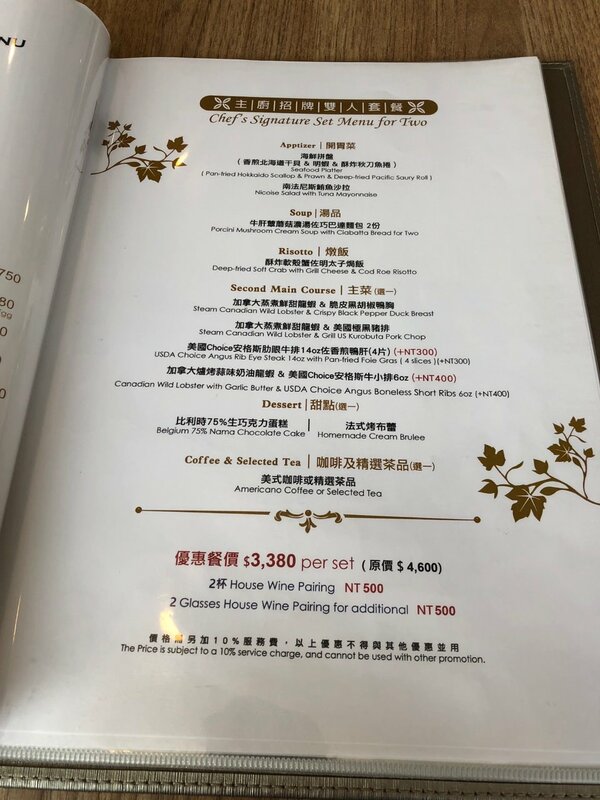 The wine and champagne collections and glasses are more than enough for the wine list. 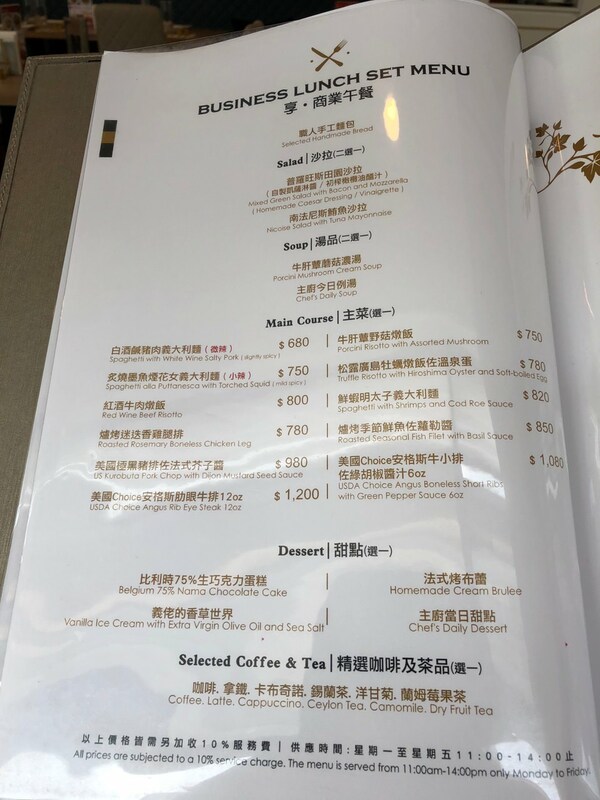 Chambistro 享．香檳海鮮餐酒館圓弧型綠色沙發讓我想到 “Town by Bryan Nagao”, 兩人座位放置在兩側沙發座位區走道中間, 與”永心鳳茶” 座位的擁擠程度相似, 從半開放式包廂落地窗可看到信義區迷人城市日夜景. 文末有更詳細的室內影片. 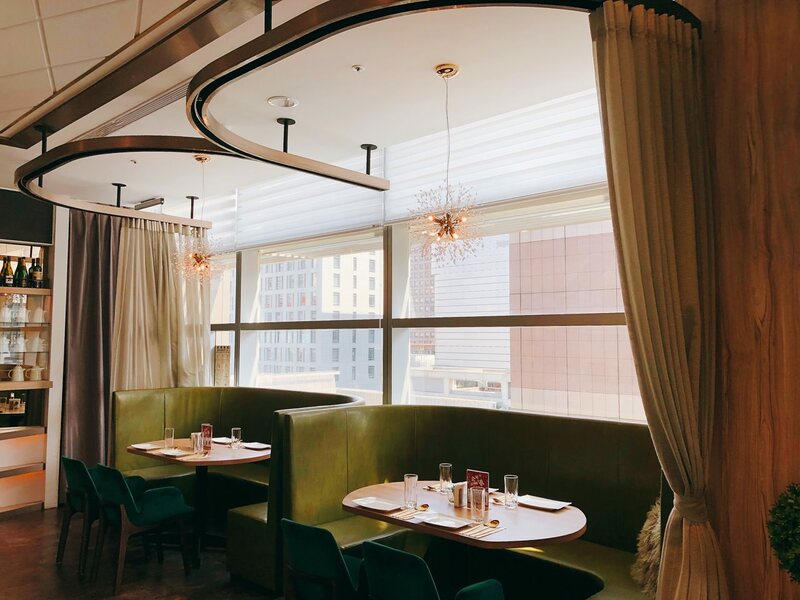 The green sofa at the Chambistro is a bit similar with “Town by Bryan Nagao”. Two people seats are placed in the middle of the path, just like at the crowded “Yonshin Tea & Cake Selection Bar “. 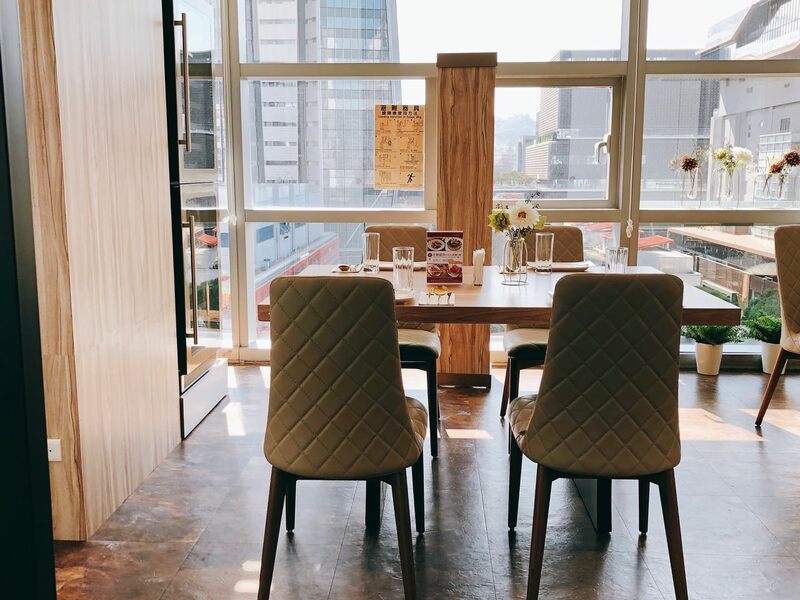 There is half-opened private dining room to see the day/night view of the city. 手工麵包微脆口感中帶有點鬆軟, 雖然橄欖油與巴薩米克酒醋沒有”廚子市場 Le Marché de Cuistot” 有明顯香氣, 但沾佐餐麵包則是綽綽有餘. 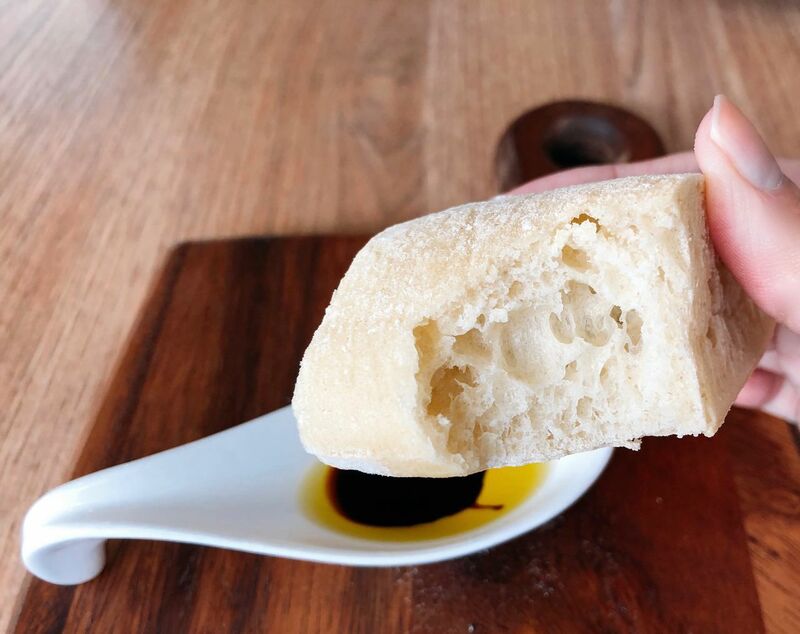 The bread has hints of crispness but mostly soft. Even though the EVOO and balsamic sauce do not have much aroma as at “Le Marché de Cuistot”. 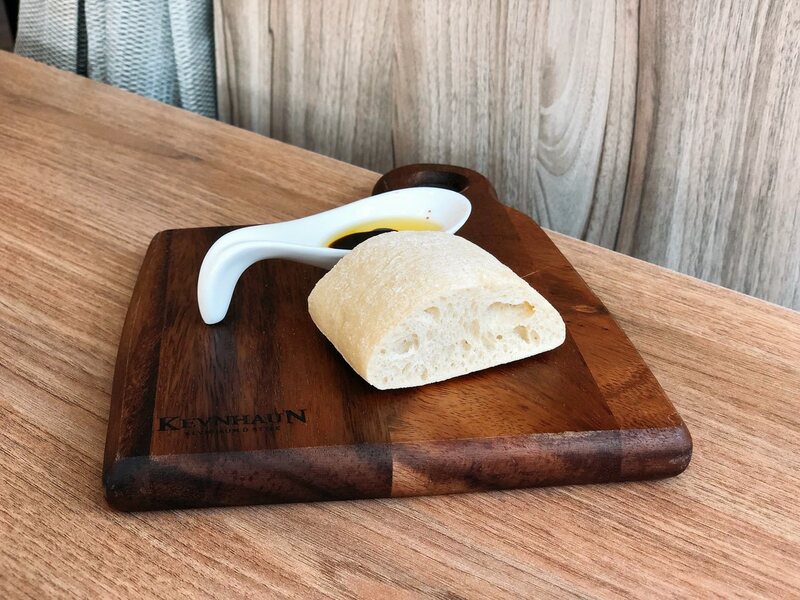 But, it is enough to dip the bread in. 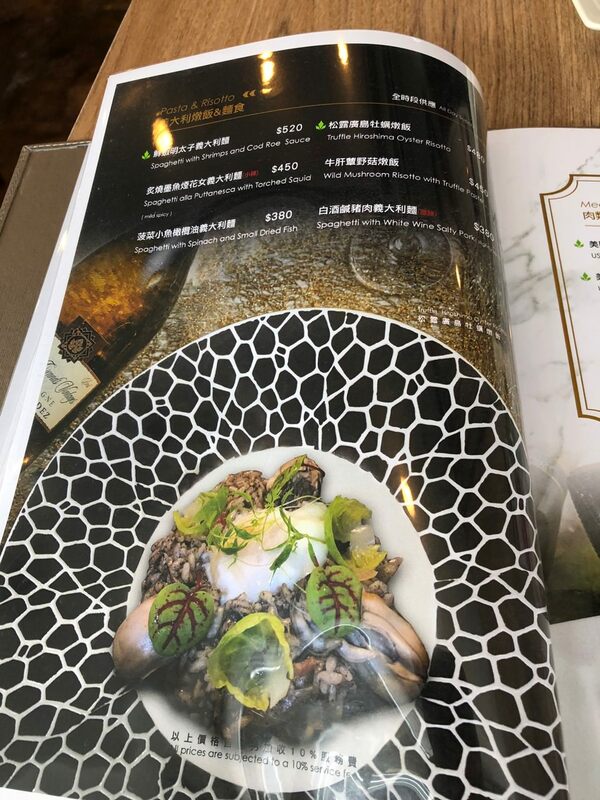 Chambistro 享．香檳海鮮餐酒館是以歐陸料理為主, 少許生菜搭配花椰菜和白煮蛋切片, 建議生菜搭配淺粉色鮪魚醬和淺褐色鯷魚醬, 才能平衡鹹香海鮮風味, 新鮮玉米口感酥脆令人滿意, 橄欖的點綴讓這道沙拉南法尼斯鮪魚沙拉成為清爽健康的地中海料理代表作. 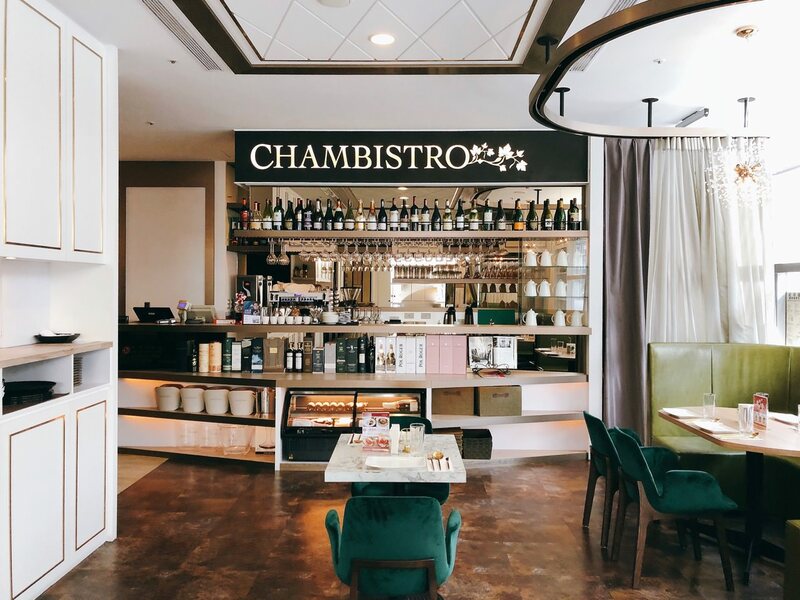 Chambistro restaurant offers European Style cuisine. 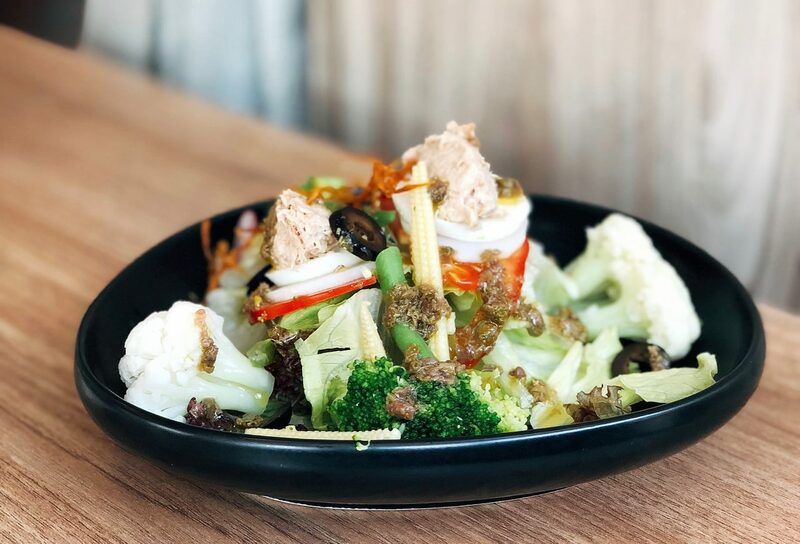 Few amount of lettuce along with broccoli and egg is the classic refreshing salad. 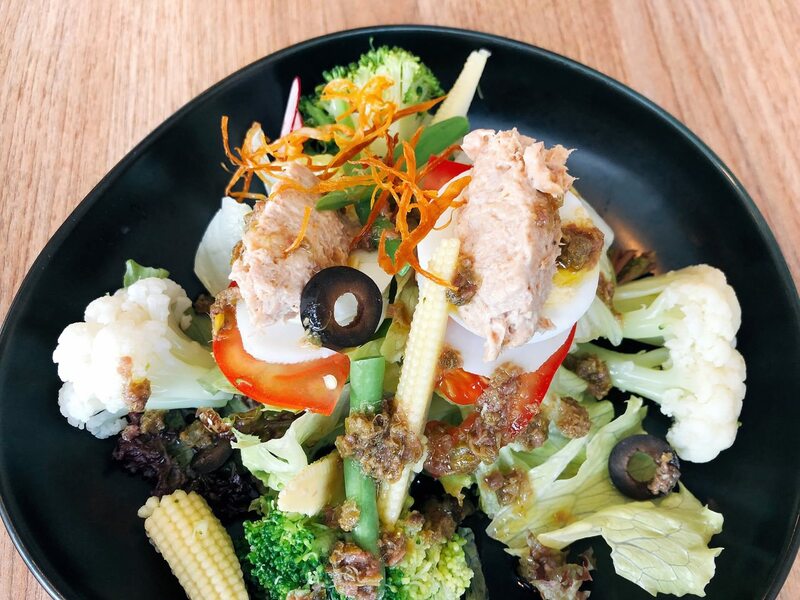 I would suggest to pair the Tuna mayo and anchovy sauce with lettuce to balance the salty seafood flavor. The crisp corn and olive upgrades this great Mediterranean Salad. 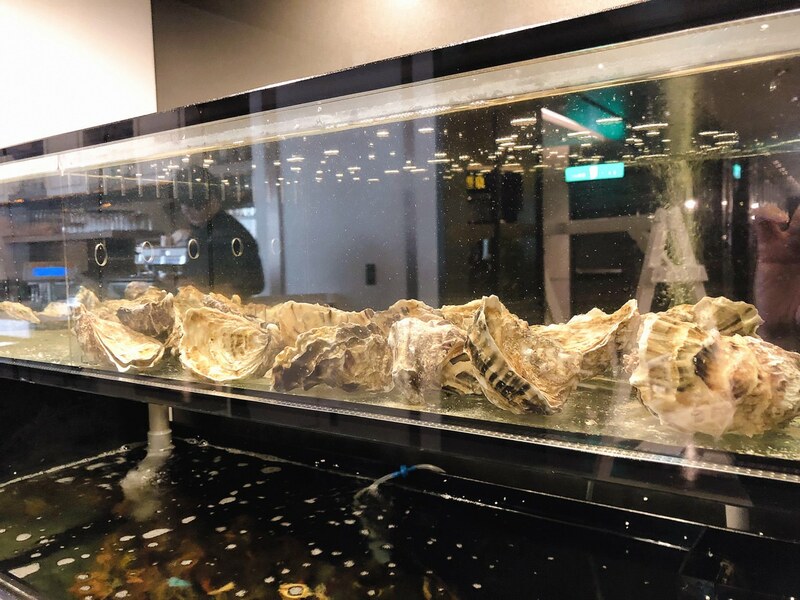 Chambistro 享．香檳海鮮餐酒館湯品是經典法式栗子濃湯, 上次在“豐舍“喝到的是相似版奶油枸杞菱角濃湯, 主廚以法式烹飪方式打成泥狀, 味蕾在沙沙口感中感受到堅果風味, 店員解釋外觀像似迷你比司吉是栗子泡芙(? 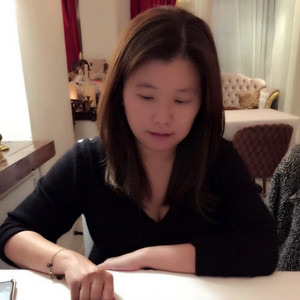 ), 但口感則是像比司吉,栗子醬內餡則是有濃郁酒香, 相當特別, 這是那一天我最滿意的料理. 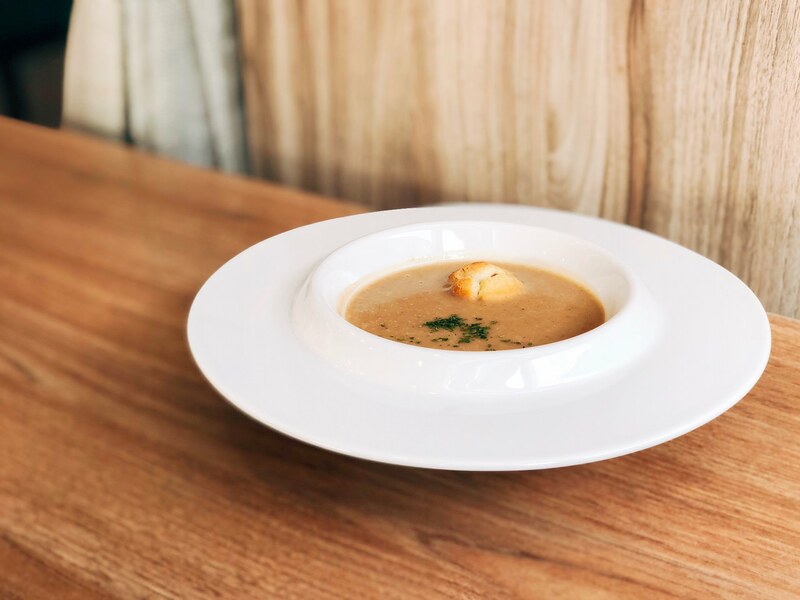 Chambistro Restaurant offers the classic French Style chestnut soup. 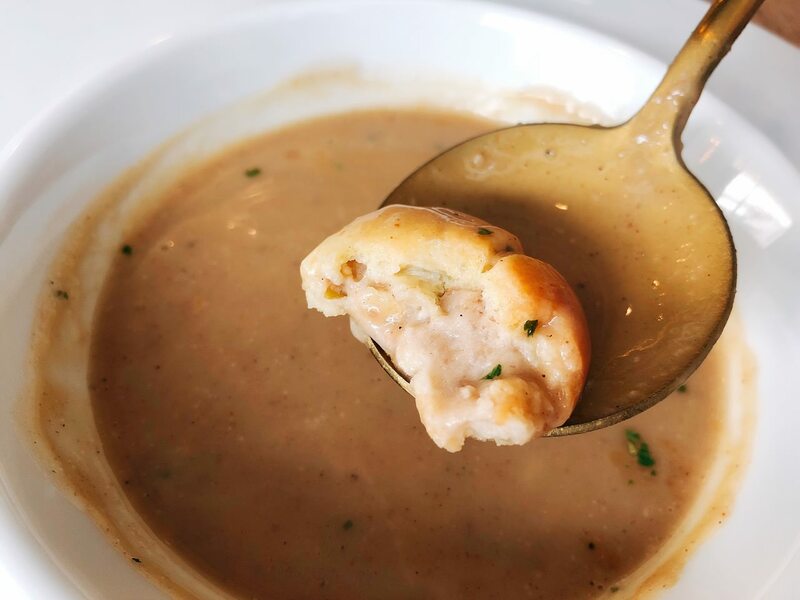 Last time, I had a similar version of chestnut soup at “B.B.R Restaurant“. 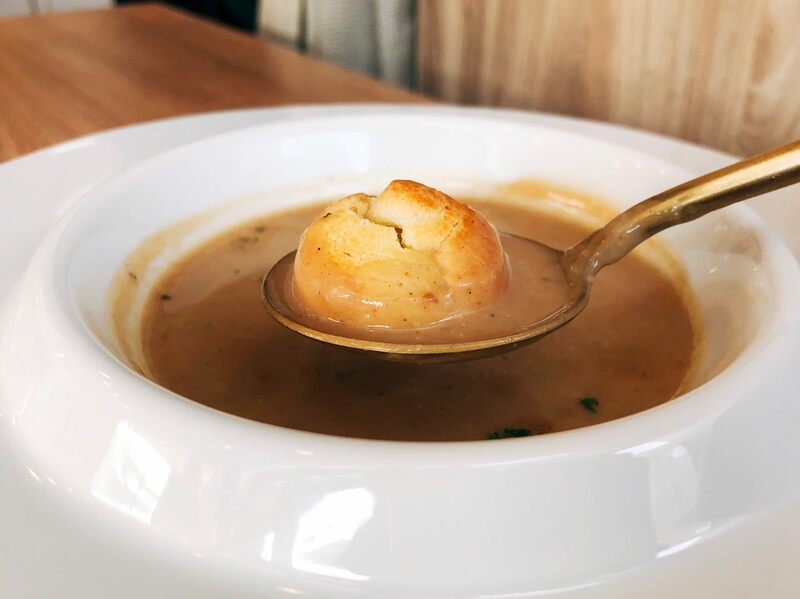 The tastebuds can sense the nutty flavor hidden inside the soup. The staff mentioned that the biscuit look-alike ingredient in the middle is chestnut puffs (?). It tastes like a biscuit and its chestnut filling has strong wine aroma, which is quite special. This dish is my favorite dish of the day. 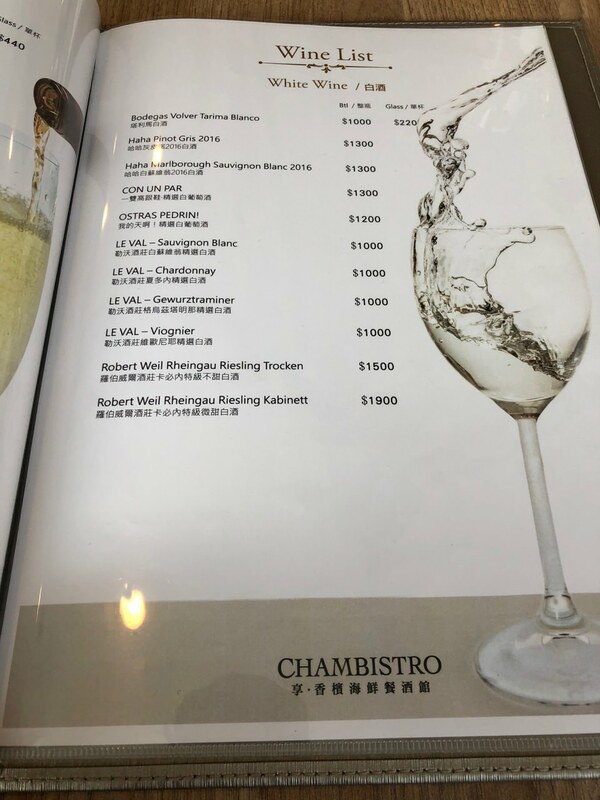 Chambistro 享．香檳海鮮餐酒館炙燒墨魚煙花女義大利麵單點價格是 NTD $450, 因為價格差異, 視覺遠比 “Salt & Stone” 義大利麵更具震撼性, 其實煙花女義大利麵料理並不一定是搭配墨魚, 在台北義式料理餐廳也可看到搭配蝦或是干貝, 搭配墨魚目前我只有在Chambistro看到. 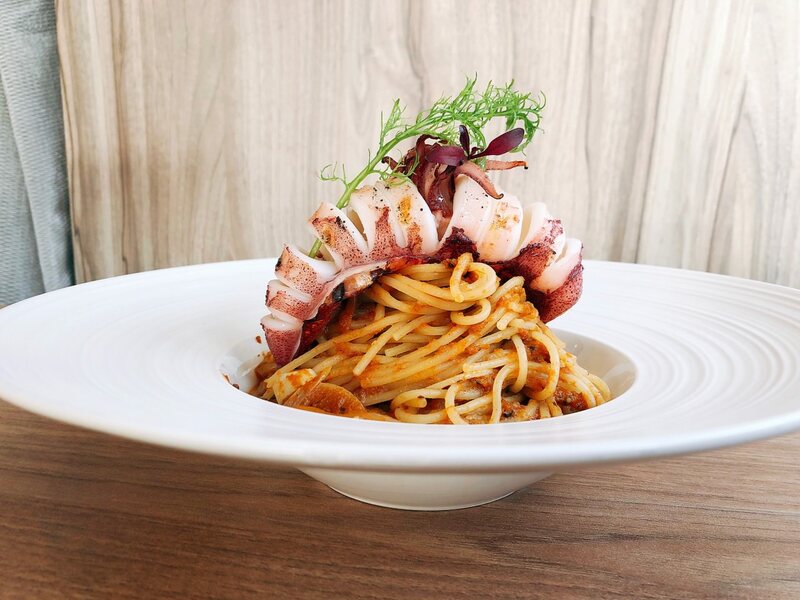 If only order Spaghetti alla Puttanesca with torched squid, the price would be NTD $450 at Chambistro restaurant. 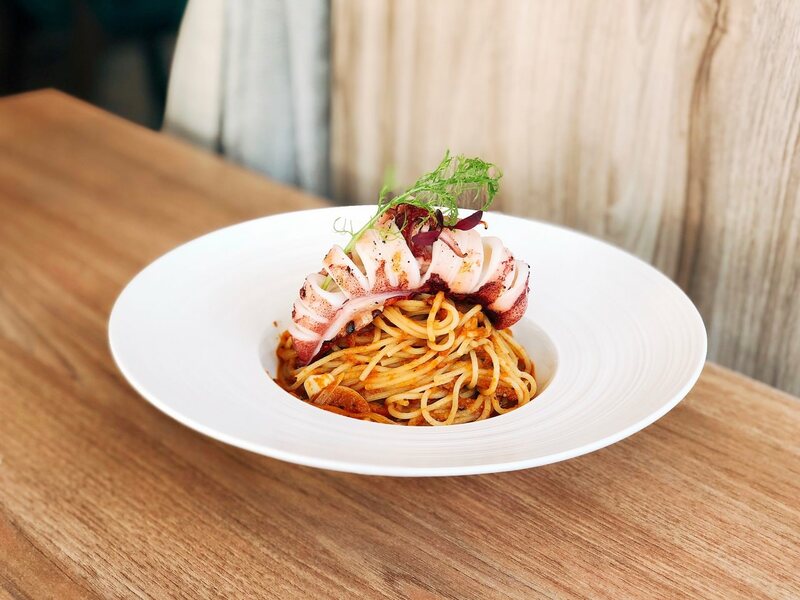 Due to the cost, Chambistro’s pasta has more visual impact than “Salt & Stone” at 101. In fact, Spaghetti alla Puttanesca isn’t always pair with squid. 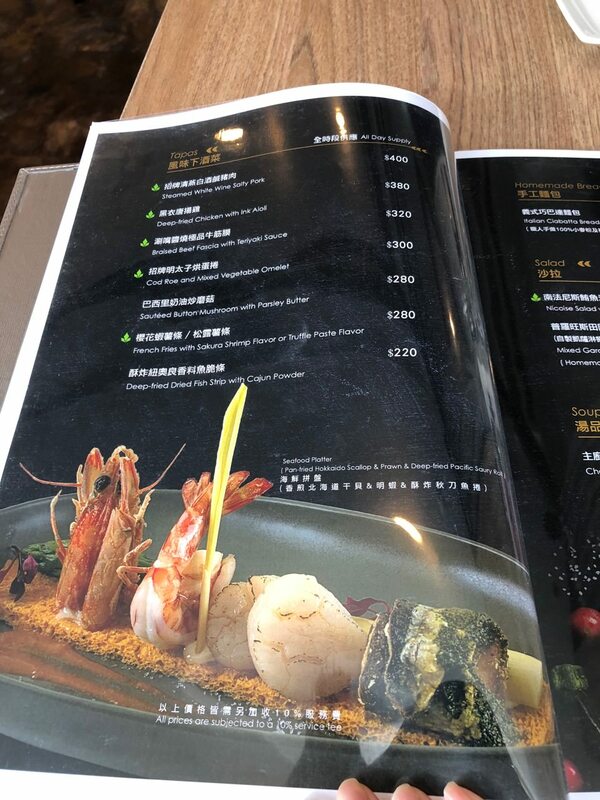 You can also see other ingredients, such as scallop and shrimps. 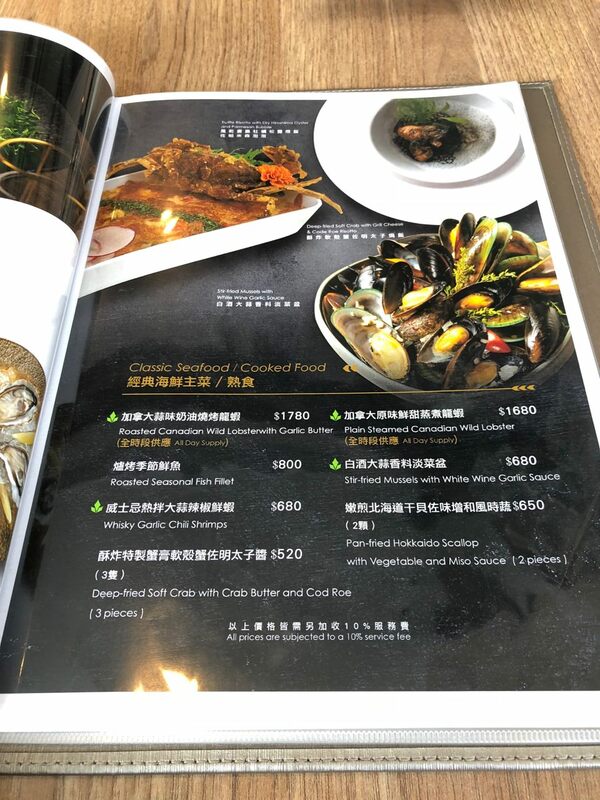 However in Taipei City, Chambistro is probably the only one that pairs with squid (please correct me if I am wrong). 粉紫色墨魚與煙花女名稱不謀而合, 用店家提供的刀切一小塊品嚐, 口感並不會過硬, 建議豪邁地沾盤底醬汁, 享受重口味的衝擊. 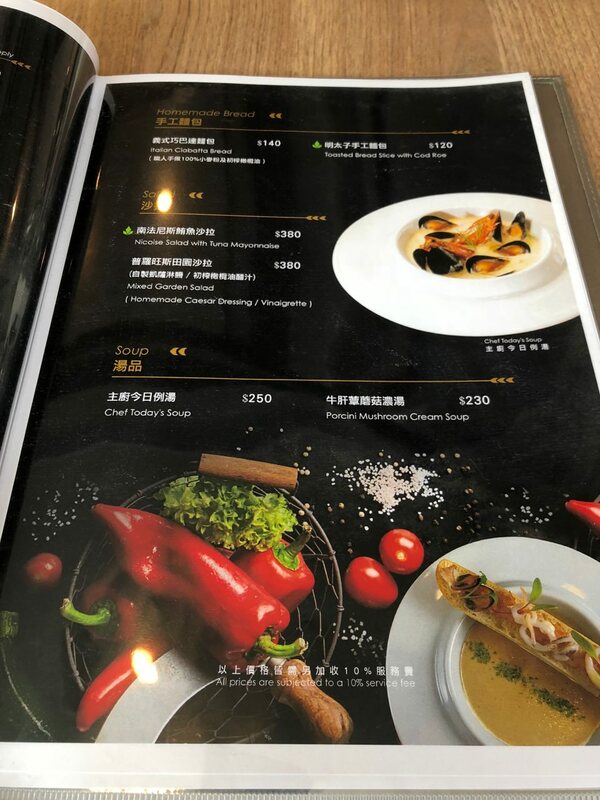 雖然菜單上標示小辣, 實際上已接近中辣, Chambistro 煙花女義大利麵艷紅色醬汁主要風味是蕃茄與辣椒, 但並非想像中地清炒, 而是濃郁鹹香, 橄欖與酸豆只有口感並沒有所謂的隱藏風味, 因為義大利細麵份量非常多, 用的醬汁也相對地多, 吃到最後會有乾膩的感覺, 美中不足的的方是義大利麵條硬度偏軟, 並不是我喜歡的 al dente (微硬) , “Salt & Stone餐廳” 義大利麵硬度才是我喜歡的硬度. 相對地, 因為份量多, 許多人會認為這道料理是CP值高. 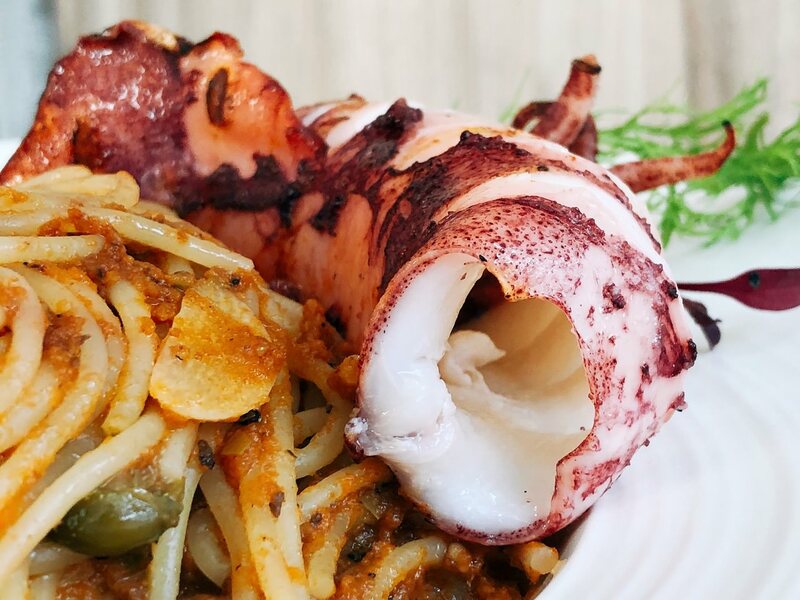 The torched squid is not overly too hard. I would suggest to dip into the mild spicy pasta sauce to enjoy the stimulation. The sauce is mainly made with tomato and chili, which brings the salty and spicy flavor together. The olives and capers offers different types of texture to the mouth. There are surprisingly large quantity of spaghetti and lots of sauces, considering the price. But, the dish becomes quite dry and oily at the end. Sadly, the spaghetti texture is not as al dente as I wish for. However, most people might consider this dish a great bargain since the pasta quantity is large. 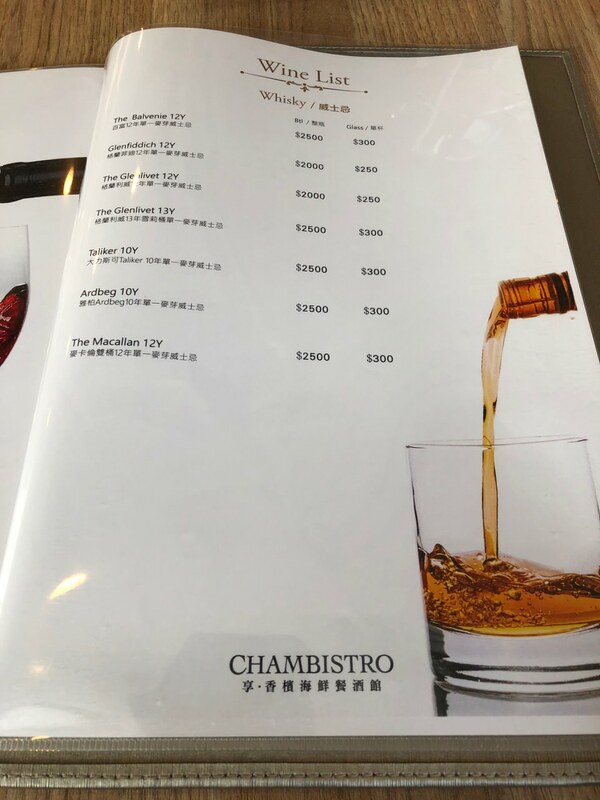 Chambistro 享．香檳海鮮餐酒館店員提到許多客人會點比利時 75% 生巧克力蛋糕當作甜點, 我則是點香草冰淇淋佐初榨橄欖油和海鹽, 請注意是硬式香草冰淇淋, 而不是像 “在欉紅 Red on Tree”的軟式義大利冰淇淋 (Gelato). 即使舌尖被低溫壓抑敏感度, 依舊可感受到海鹽與香草風味精彩風味, 降溫後才能品嚐到少許橄欖油的青草香氣. Chambistro staff mentions that most customers order Belgium 75% Chocolate cake as dessert. 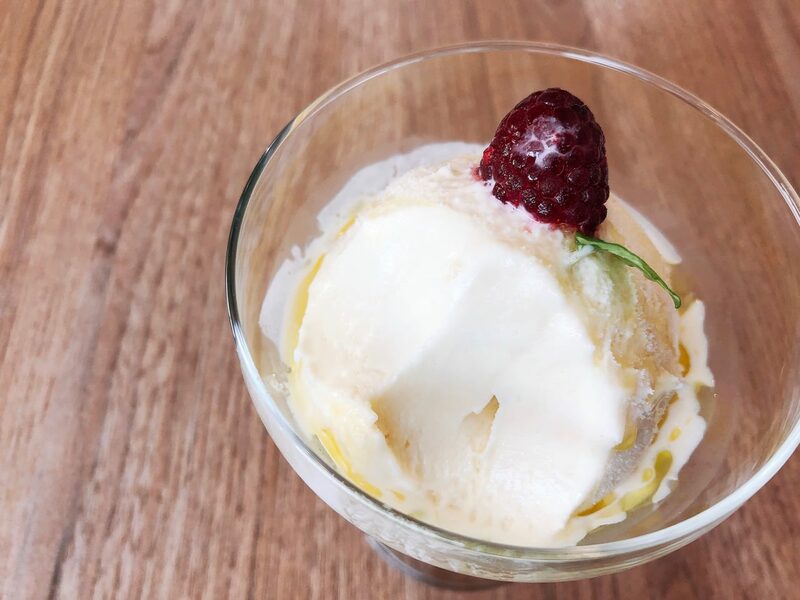 I ordered Vanilla Ice cream with EVOO and Sea Salt. 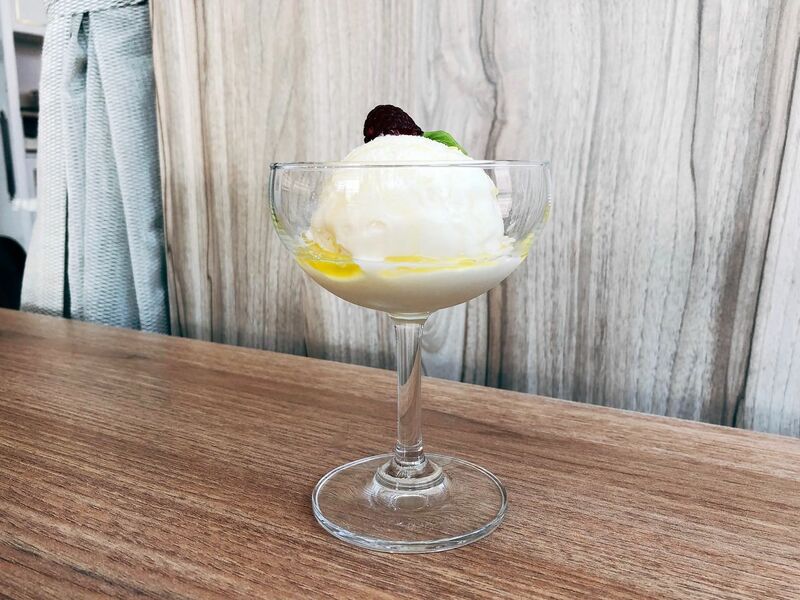 Please note that it is ice cream instead of Gelato (like the one that I tasted at “Red on Tree”. Even though the tastebuds is quite frozen, I can still sense the interesting interaction with Vanilla flavor and salty flavor. There are hints of olive oil grassy aroma afterwards. 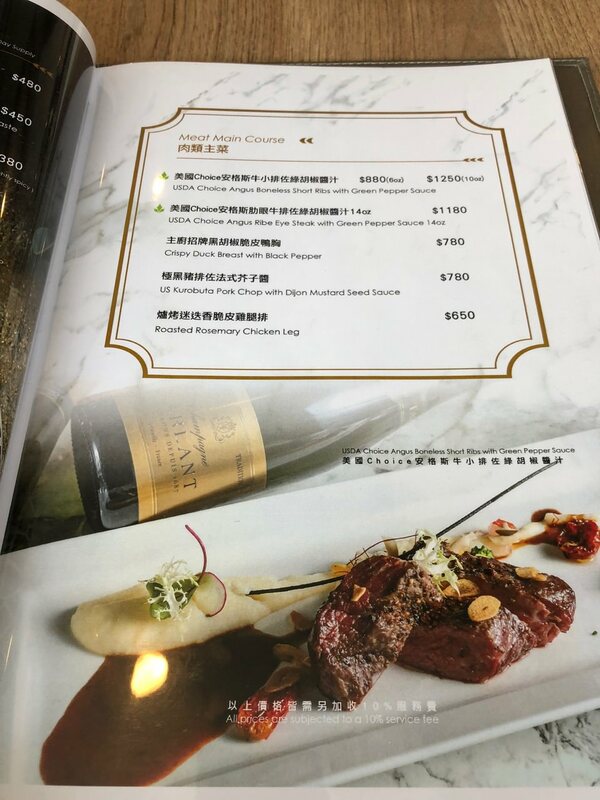 我原本想要點香檳, 畢竟餐廳名字是Chambistro, 可惜 Champagne Gremillet, Gemillet Brut Selection NV 單杯香檳價格 NTD $440, 超過我的預算,Chambistro 享．香檳海鮮餐酒館與其他餐廳 (例如: “BeApe 餐酒館” ) 一樣皆有提供冰紅茶. 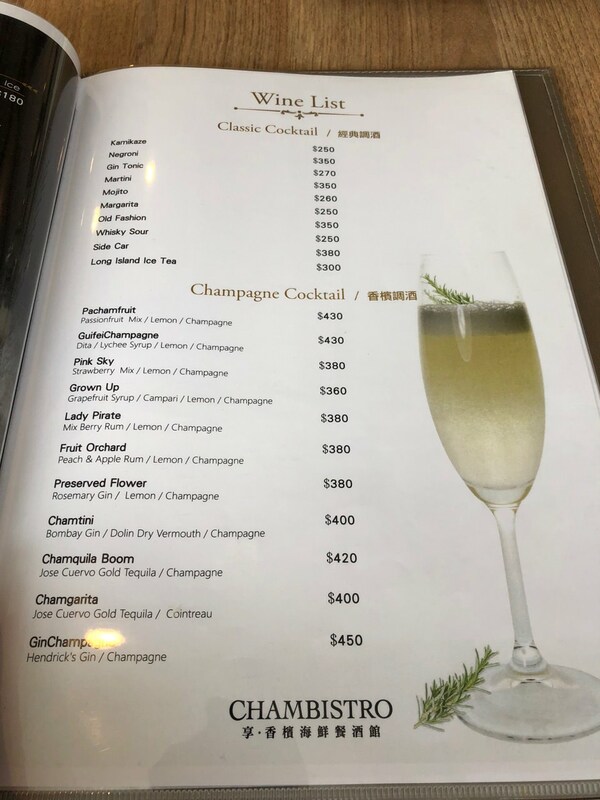 I was going to order single glass of Champagne Gremillet, Gemillet Brut Selection NV. But, $440/glass is over my budget. 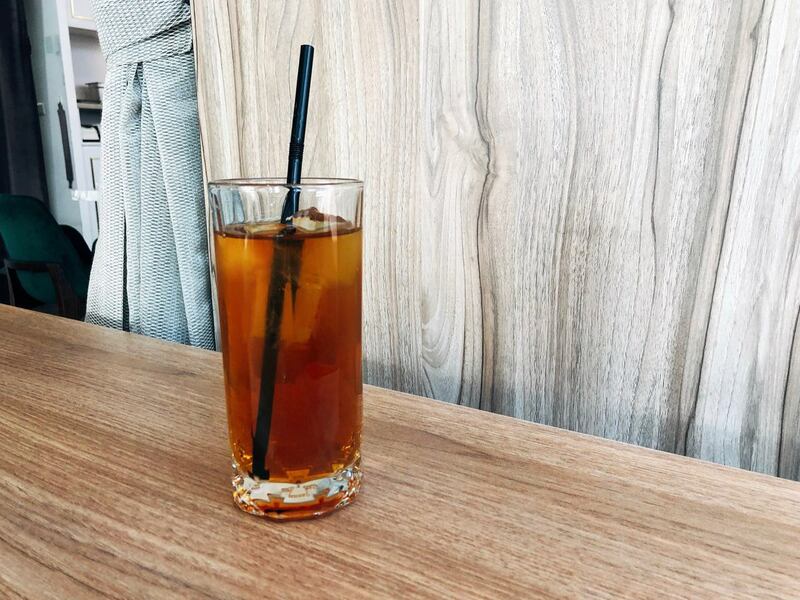 Chambistro offers black tea just like at “BeApe Bistro”.